Dr. Donald Rix is a widely recognized member of the medical profession, as evidenced by his fellowships in four medical colleges and societies. Dr. Rix is also a successful businessman, a generous philanthropist and a dedicated volunteer. He is active in provincial and national medical associations, is a member of several B.C. research foundations, and is a director of the B.C. Children’s Hospital Foundation. He has had a longstanding involvement in science and technology, being a member of the Premier’s Technology Council and sitting on numerous technology and health research boards. He is currently the chair at the Innovation and Science Council of B.C. and Chair of the International Committee and has represented the Province and the Canadian government many times on science and technology missions to the Philippines, China and the Pacific Rim. He has served in various capacities at BCIT over 25 years, including teaching, and is a member of the Board of Governors (Past Chair) and the Foundation Board. At SFU he is chairman of the Council of the Segal Centre of Graduate Management Studies, a member of the President’s Club and a Board Member of the Morris J. Wosk Centre for Dialogue. 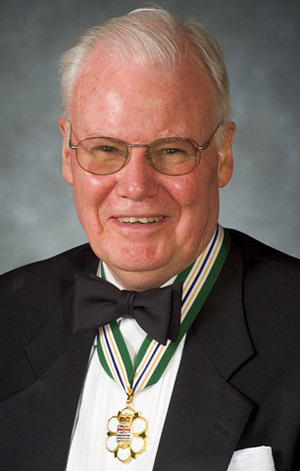 At UBC he is a lifetime member of the President’s Circle, Emeritus Status Clinical Professor in the Department of Pathology and Laboratory Medicine, and Honorary Medical Alumnus in the Medical Alumni Society. At UNBC he is a member of the Board of Governors and serves on various committees. Dr. Rix and his family are active supporters of the arts community, including the Vancouver Art Gallery, Vancouver Opera and the Vancouver Summer Musical Festival of which he is the current President. He and his family have donated millions of dollars for education, health and arts in B.C. – Appointed to Sovereign Order of St. John of Jerusalem, Knights Hospitaller and is a recipient of the Queen’s Golden Jubilee Medal.